For most moms and dads, parenting is filled with joy — and plenty of worry, too. 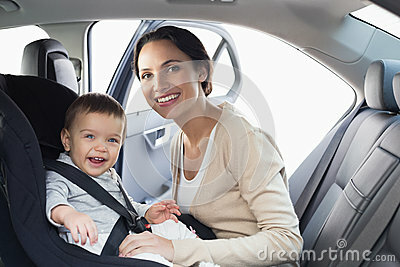 Learning the proper way to use a car seat, however, might melt some of that worry away. The statistics can be scary: According to the Centers for Disease Control and Prevention, car accidents are the leading cause of death in US children. Also, a study published late last year found that while 79 percent of new parents felt at least somewhat confident that they installed their car seat correctly, 95 percent of the infant car seats inspected had one or more critical errors. The good news? The same study found that parents who asked a certified car seat technician to check the seat before their baby was born were 13 times more likely to use these seats correctly. And, according to Austin-Travis County EMS, the risk of death can be reduced by as much as 71 percent with proper child safety seat use. dailyRx News spoke with Capt. Randy Chhabra, of Austin-Travis County EMS, at a recent car seat safety check in Austin, TX, about what parents need to remember when it comes to child safety seats. Check out the dailyRx News video for the full story.